We have established our credibility as being a premier lawn care and mosquito control company in the metro Atlanta area. Our team makes it a priority to treat your property as if it’s their own through personalized attention to your property’s needs and keeping you informed throughout the process. We are truly committed to providing our customers with exceptional service, and are always ready to answer any questions you may have. We are fully aware that without our devoted, hardworking staff and our loyal customer base, we would not be where we are today - so we truly want to thank you! We will continue to strive to be the best lawn care company in the Metro Atlanta area. We look forward to working with you! William was awesome in explaining everything to me and scheduled a return visit in a couple of weeks to get rid of poa in my yard on my newer sod. I am really happy with GrassRoots. When we first signed on they were great. We had an aeration/seeding that looked great at first. Unfortunately, we had to start paying monthly and have not been able to get good service since. We call and they say they're coming or worse yet that someone has already come and when we say it hasn't happened they "promise" again to come out. We've asked them to call/text when they're coming and still nothing is getting done. The grass looks very sad and the weeds are out of control. They say they'll come out as often as we ask them to but we haven't been able to get them out on a scheduled treatment much less an added service.... I was reading online reviews and it seems the last one was 6+ months ago. I guess there aren't any good reviews to post. I'll be looking for mine to make sure it gets out there. We have a large flat Zoysia yard and have had the pleasure of Kevin from Grassroots doing the treatments for the last 5+ years! Our lawn continues to look spectacular and all our family and friends say "your lawn looks awesome" whenever they arrive. Kevin's upbeat attitude is great and he takes the initiative to make the lawn look super. He also addresses any seasonal items that need attention. 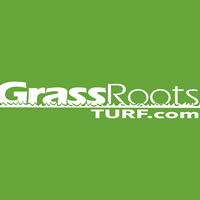 If you are thinking of being a new customer, I can say that you will be making a great choice with Grass Roots! Kevin has been doin our yard for some time now...he is very courteous and knowledgeable about his work it's always a pleasure to do business with him and the grass roots company...Merry Christmas and happy holidays to him and his family. Seth was early and efficient. Great. Kevin took the time to blow all the leaves off my lawn before applying the treatment. Technician did a great job. m starting g to see some improvement in my lawn especially back yard. Hopefully front yard weeds will die out before spring. So far so good. My grass looks great! Chris showed up today as scheduled. He was very informative about what to anticipate with a new yard. Look forward to their service in 2018. At first didn't see they treated but did get call later that it was performed and blew my leaves. The grassy area in my backyard was covered with leaves today when the technician arrived. He completely blew off the leaves before he treated the yard. Thank you so much. I have been out of town for over a week and did not get the message that you were coming on Monday until late Sunday night. I did not receive a call from GrassRoots. I am pleased. Once I call and tell them the problem without wasting time they respond to my concern. Kudos!!! excellent job and great customer service. Knowing that he would take the time to blow our leaves out of the way before applying the spray says a lot about going above and beyond. Many would just spray over the top of them. Great job, and thank you!! I have always had great service from GrassRoots, but this most recent service was beyond expectations. My technician, Glenyn, took the time to blow the leaves off my lawn to ensure the treatment was effective. Amazing service!!! Glenyn in particular is a tremendous asset to their company. Only one negative - you seem to keep missing the lawn on the other side of the driveway - it always gets weeds. I keep forgetting to call you on this. I can't comment on Tim, I didn't see him. You required answers so I gave them. There. Do the kid and leave. Our grass looks very healthy and you have done a good job maintaining the weeds. Awesome. They blew my yard before applying the application. We have been using Grassroots since June of this year. Only one time did I need to call them about a retreatment. They were happy to come out and did so within a day. Very pleased with the results! The communication you guys provide is EXCELLENT. Thanks so much for the excellent service.